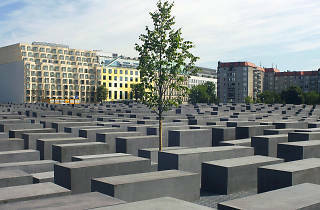 From Potsdamer Platz, it is a short walk to the Denkmal für die ermordeten Juden Europas (Memorial to the Murdered Jews of Europe). 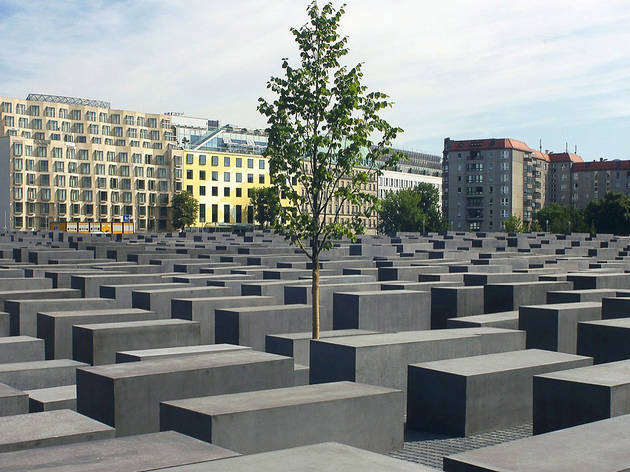 This field of concrete slabs takes up the entire area of a city block, arranged in rows but rising to various heights on uneven ground – echoing the crowded headstones in Prague’s Old Jewish Cemetery. Conceived in 1993, the controversial project was not opened until 2005, and just as there is no one single way of marking shared memory, nor is there any single view point to Peter Eisenmann’s winning design; to engage with the memorial you need to walk into it and experience its shifts in perspective, and the shifting effects of light, distance, isolation and claustrophobia. Open (Field of Stelae) 24/7; Information centre 10am-8pm Tue-Sun (Apr-Sep); 10am-7pm Tue-Sun (Oct-Mar).